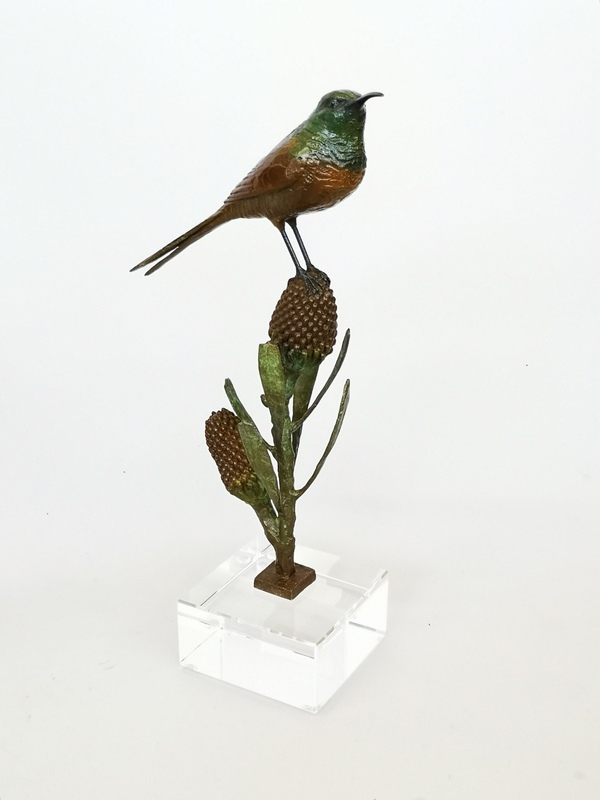 Widely acclaimed for his bronze sculptures of wild fish and birds, Cape Town-based artist Chris Bladen strives to capture the essence of each species, the nuances of their movement and subtleties of their outline, bringing them to life in bronze. As an avid catch-and-release fly-fisherman and enthusiastic birder, Chris has honed his incredible eye for detail through his encounters with fish and birds. He makes a science of studying each species he plans to portray, travelling extensively to see them up close. Chris is one the rare breed of sculptors who’s involved in the entire process of creating a bronze sculpture – from sketching, moulding and casting right through to the chemical patination, and is known for his extraordinarily vibrant patination techniques. His work has been acquired by collectors from all over the World.